Kai Simons’ recent research has focused on cell membrane organization and function. He has pioneered the concept of lipid rafts as a membrane organizing principle, based on the phase-separating capabilities of sphingolipids and cholesterol in cell membranes. Dr. Simons received his MD degree from the University of Helsinki and his board certification in 1964. Simons then conducted postdoctoral research with A.G. Bearn at Rockefeller University in New York. In 1967, he accepted a position from the Finnish Medical Research Council at the University of Helsinki with appointments in the Departments of Biochemistry, and Bacteriology and Serology. In 1975, he became a Group Leader at the European Molecular Biology Laboratory (EMBL) in Heidelberg, Germany and he started the Cell Biology Program, which became the focal point for molecular cell biology in Europe. 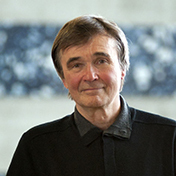 In 2001 Kai Simons moved to Dresden to build up the new Max Planck Institute for Molecular Cell Biology and Genetics. This Institute is today an internationally recognized center in its area of research. For his contributions to cell biology, Dr. Simons has received numerous accolades, including the Keith Porter Lecturer of the American Society for Cell Biology, a Harvey Society Lecturer, Dunham Lecturer at Harvard Medical School, and Li Lecturer, UC Berkeley. He has received Anders Jahre Prize for Medical Research the Runeberg Prize, Finland, the Laurens van Deenen Medal, University of Utrecht, the Schleiden Medal of the Academy Leopoldina and the Äyräpää Prize, Finland. He is Doctor Honoris Causa at the universities of Geneva, Oulu and Kuopio, Finland and Leuven, Belgium. Kai Simons is a foreign member of the National Academy of Sciences, USA, and was the President of the European Life Scientist Organization. In 2007-2008 Kai Simons was co-director of Shanghai Institute for Advanced Studies of the Chinese Academy of Science.